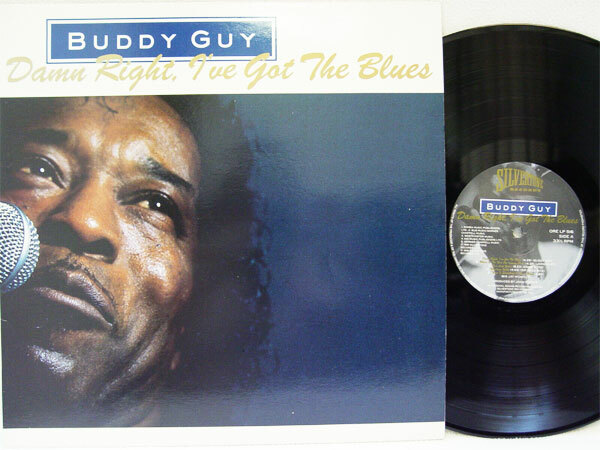 Check out these new and used Buddy Guy vinyl records LPs for sale. Buddy Guy is one of the greatest Chicago blues musicians and has influenced such artists as Stevie Ray Vaughn, Jeff Beck, Keith Richards, Jimmy Page, Jimi Hendrix, and Eric Clapton. Stone Crazy, one of his essential songs, is ranked number 78 in the Rolling Stone list of the greatest guitar songs of all time. Buddy Guy started playing with bands in Baton Rouge while he was living there and working as a custodian at LSU. He moved to Chicago in the late 1950s and started being influenced by Muddy Waters. Buddy worked with Chess Records from 1959 to 1968, which impeded his career because they primarily used him as a session player to back such artists as Little Walter, Sonny Boy Williamson, Coco Taylor, and Howlin’ Wolf. Buddy’s legacy started to take off in the Blues Revival of the 1980s sparked by Eric Clapton’s request that guy be included in the 24 Nights lineup at London’s Royal Albert Hall. He later signed with Silvertone Records and enjoyed a revival of his musical reverence. We recommend starting your Buddy Guy vinyl collection with his essential LP Sweet Tea. Our inventory is usually changing, so check back often, or browse our list of vinyl from blues musicians.